Ashington secured a fourth win in as many matches with a crushing result over Newcastle City at Gosforth on Saturday. And they claimed a notable scalp in midweek with another highly impressive victory over North East Premier side Benwell Hill in the Tyneside Charity Bowl. 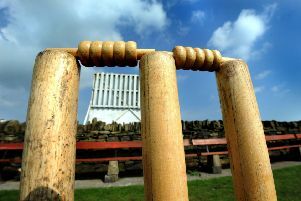 On Saturday they posted a terrific score of 276-6 from their 50 overs, surpassing their high score of 253 against Annfield Plain the previous week. The afternoon sunshine nevertheless provided a mixed bag of weather. In some parts of the field it was biting cold, in others pleasantly warm, but out in the middle it was red hot as the Wansbeck side batted themselves into a commanding position with a positive and powerful display. They lost Neil Wood early, bowled by Ian Stubbs for 13 in the fifth over, but Ani Singh and Daniel Grant found fluency with a second wicket stand of 62 in 14 overs. Singh, who went into the game on the back of a century, continued in the same vein, whilst Grant, promoted up the order with regular Jack Jessop sitting an exam, found the boundary seven times in his 31 before driving a ball from Sohail straight down Mukhtar’s throat at mid-off. Ben Harmison joined Singh and the latter completed his half century with a straight hit for four from the first ball after drinks. But in the 31st over he spooned a catch to Sohail at slip and departed for 67 – an innings which included eight boundaries and three sixes. The pair had added 55, but an even bigger partnership developed as the in-form Ben O’Brien and Harmison bossed proceedings. Harmison crossed through the 50 mark in the 42nd over, but two overs later he succumbed for 67 via a run out. Sean McCafferty partnered O’Brien and it was the latter who really came to the fore. He had clobbered seven fours and three sixes in a whirlwind knock of 71 from only 62 deliveries when he was caught in the deep from the final ball of the innings. City began well in reply until Harmison played a significant role. He caught Ahmed deep on the leg side off Callum Storey then in the 14th, Mukhtar (31) clipped the ball off his legs but looked on as Harmison clung on to hold a super diving catch at deep square leg. Williams turned to spin for the next over, introducing Paul Rutherford, and he struck with his second delivery as Harmison at mid-wicket gobbled up the offering from Shafiq at 47-3. A brilliant piece of fielding by skipper Williams led to the run out of Mukhtar before Ian Sharkey and Rutherford both struck twice – the latter aided by two stumpings by wicketkeeper Daniel Grant – to have City at 102-8. Matty Storey replaced Sharkey and the right arm medium pacer polished off the innings, bowling Mohammed and Ul-Haq in consecutive overs to finish with 2-19. Sharkey took 3-23 from nine overs, Rutherford 3-33 from ten and Callum Storey 1-29 from seven. Tyneside Charity Bowl: Benwell Hill 87 all out (Chambers 21, Michael Thewlis 5-14), Ashington 92-2 (Ani Singh 40 not out, Ben Harmison 25) – Ashington won by 8 wickets. On Saturday, Ashington are at home to Consett.